LCI Services is pleased to announce our first training for 2018. 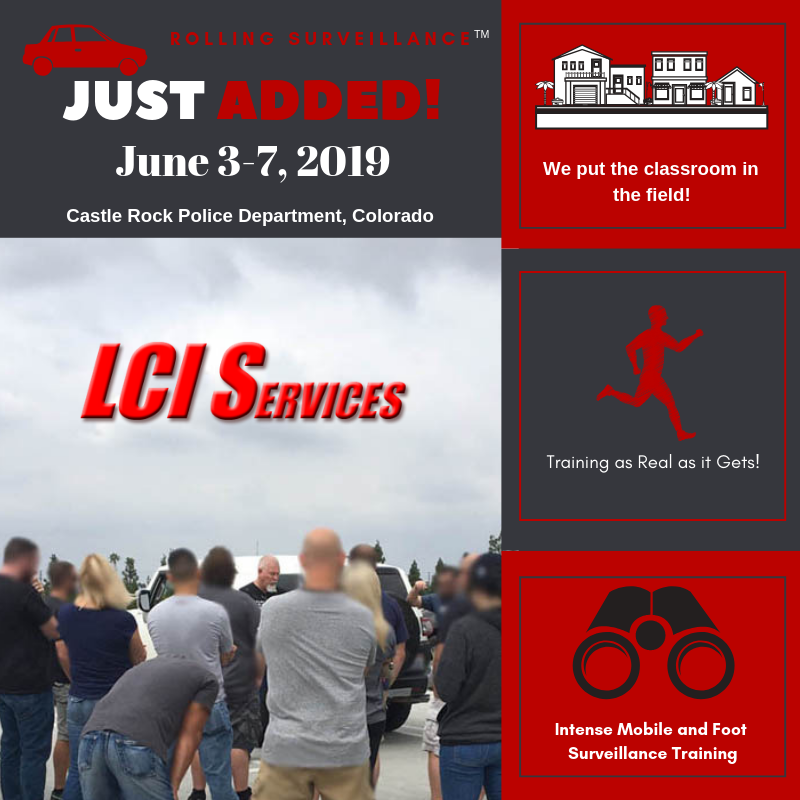 We will start up again in Southern California with our one-of-a-kind hands-on training for Chop Shops – Auto Theft Investigations and Criminal Sophistication – VIN Switching and ID with field exercises. Our placements are limited and some courses are already filling up for 2018. Now is the time to register via our online form and payment method to reserve your space. Auto theft is skyrocketing and we have the training to help you catch those behind it. A powerful course for both auto theft task forces and officers seeking to recognize and process chop shops. Fontana Police Department will be hosting our training January 23-26, 2018. We hope to see you there. If you are interested in contracting a Chop Shop – Auto Theft Investigations course at your agency, please contact us. A huge thank you to Orange County Sheriff’s Department for hosting us once again for another amazing Rolling Surveillance Training in September 2017. We are grateful to all the law enforcement who participated and made it an interesting time hitting the streets of Orange and Riverside Counties and hopefully took away a lot of great insights and techniques. Rolling Surveillance Law Enforcement Training @ Orange County Sheriff’s Department, California – September 2017. Don’t miss out on The Chop Shop – Auto Theft Investigations and Criminal Sophistication training coming up in January at Fontana Police Dept in Southern California.